The Faculty of Natural and Agricultural Sciences at the University of Pretoria (UP) is one of the largest and most diverse of its kind in South Africa. It consists of 13 departments grouped into the following four academic and research clusters: Agricultural and Food Sciences, Biological Sciences, Mathematical Sciences and Physical Sciences. The Faculty has substantial research capabilities, underpinned by a pool of excellent researchers, top-class research institutes and centres, and a well-established international collaboration network. The Faculty hosts 42% of the National Research Foundation-rated researchers at UP and more than half of the A-rated researchers and highly cited academics listed on Thomson Reuters’ Essential Science Indicators (ESI) database. It also generates 23% of accredited publication journal units at UP. The undergraduate and postgraduate study programmes follow this legacy of research excellence by aligning with leading education and research trends. The Faculty contributes to the intellectual and material enrichment of society through highly relevant community engagement projects. Should you wish to excel and make a difference in the natural and agricultural sciences, this Faculty is where you belong and you will indeed be most welcome. - emphasising the importance of communication, marketing and branding. Commencing his studies at the University of Kinshasa, DRC where he obtained his BSc and BSc (Hons) degrees, Prof Lubuma completed the MSc and PhD degrees in Mathematics at the Université Catholique de Louvain in Belgium. He began his academic career in 1985 as Lecturer and later Senior Lecturer at the University of Annaba, Algeria before completing a stint as a Postdoctoral Fellow at the Abdus Salam International Centre for Theoretical Physics (ICTP) in Italy. Thereafter he served as Associate Professor and Professor at the University of Kinshasa, DRC before moving to South Africa for an academic appointment at the Mamelodi Campus of Vista University, where he served as Senior Lecturer, Associate Professor and Professor. He joined the Department of Mathematics and Applied Mathematics at UP in 2000 as Professor and was appointed as Head of Department and Chairperson of the then School of Mathematical Sciences in 2004. He served as Head of Department until 2013, when he took up the SARChI Chair in Mathematical Models and Methods in Bioengineering and Biosciences. 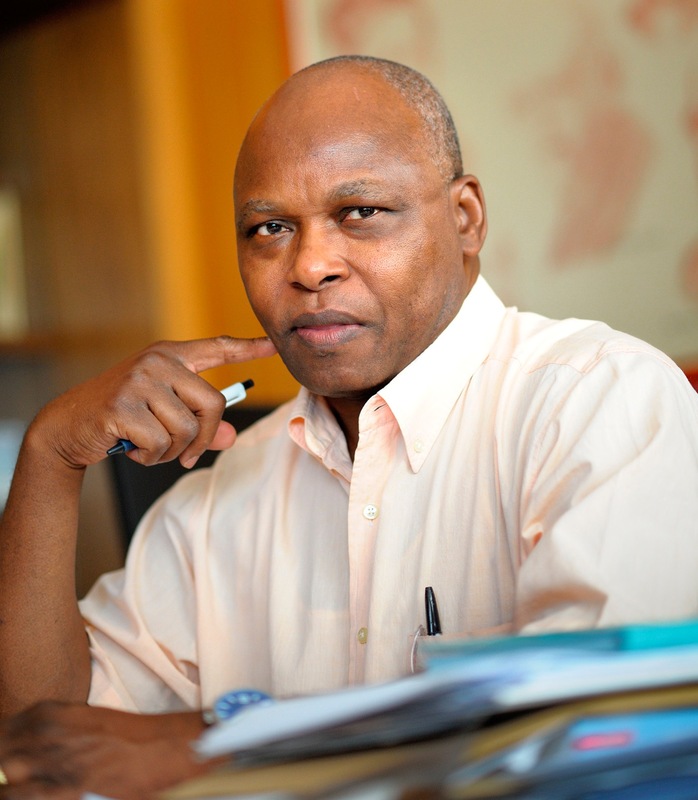 An NRF B-rated scientist who has supervised a number of master’s and doctoral students to completion, Prof Lubuma has published extensively in prestigious journals in a variety of mathematical fields, and is widely recognised as a leading researcher who has initiated several successful research projects and obtained substantial research funding from national and international bodies. He has received a number of awards, including the UP Exceptional Academic Achiever Award for three consecutive periods, the South African Mathematical Society Award for Research Distinction in 2011 and the Bulgarian Academy of Sciences Sign of Honour awarded in 2013. He is co-editor of three scientific journals, a member of numerous national and international scientific bodies in the field of mathematics, and a Fellow of the African Academy of Sciences (AAS), the Suid- Afrikaanse Akademie vir Wetenskap en Kuns and the Academy of Science of South Africa (ASSAf).